For the past two years, I’ve participated in the CYBILS award process. Last year, I helped judge the first round of the Middle Grade Speculative Fiction category. This year I was a final round judge for Young Adult Speculative Fiction. The other panelists and I read some fantastic novels, and making the final decision was difficult! 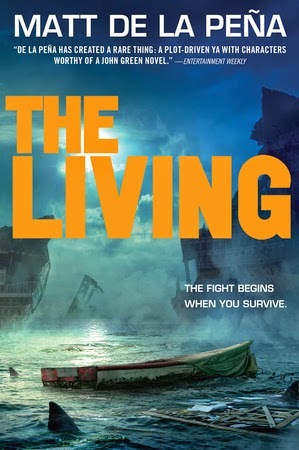 In the end, we selected Matt de la Peña’s The Living. My fellow panelists and I appreciated its teen appeal, diverse characters and distinctive voice. Look out for my review of this CYBILS award winner and other finalists in the coming weeks! Check out the full list of winners (all categories) here. Thanks to both first and final round judges for their good taste and good cheer during the process. If you’d like to learn more about the CYBILS and how you can be involved, be sure to check out www.cybils.com.